John was gifted a bottle of Solerno, and besides adding a bit of it to a glass of Champagne, I've been totally uncertain of what to do with it–until now! 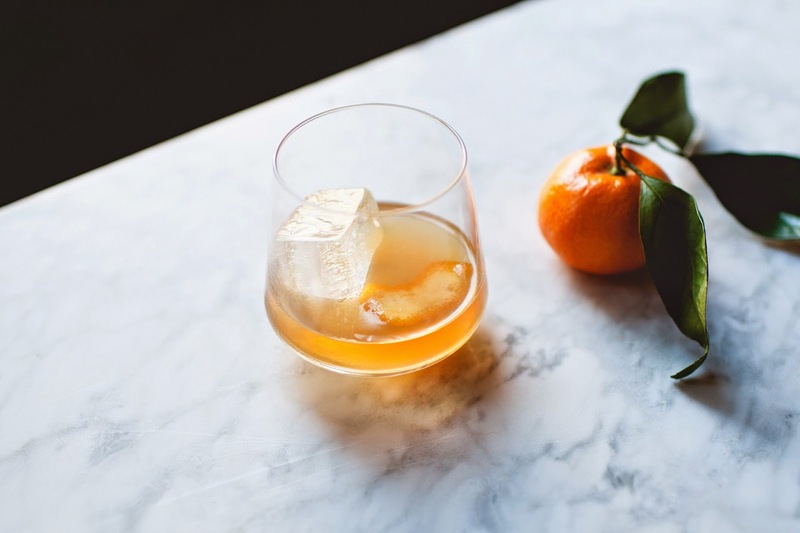 This walnut Old Fashioned is brightened up by orange, and perfect for a cozy weekend. Cover sugar cube with two dashes of orange bitters in a rocks glass; add a few drops of water and muddle until sugar dissolves. Add whiskey, walnut, and blood orange liqueurs, and stir. Add a large ice cube, stir, then garnish with a flamed orange peel. Notes: Hauz Alpenz makes some of my favorite liqueurs, and their nocino, or walnut liqueur, is really lovely. But if you can't hunt down nocino or you want to make a potion, homemade walnut liqueur takes just 80 days (but's really best after at least a year)! Image by Meghan Klein, styling by Cassandra Lavalle for Coco + Kelley.